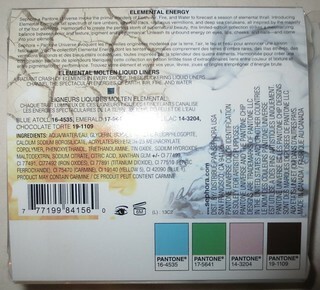 Today I have another product from Sephora + Pantone Universe's Elemental Energy Collection to share with you! 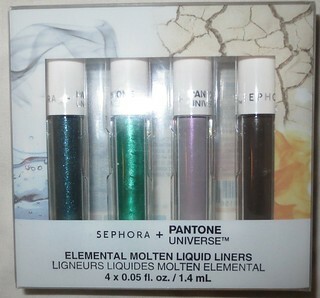 The Elemental Molten Liquid Liner Set* ($22 CAD) contains four liquid liners that are perfect shades for Fall! 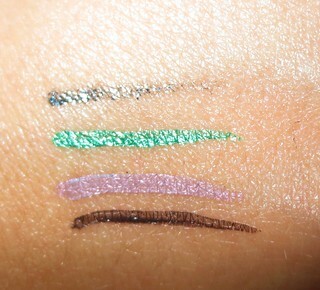 I'm a huge liquid liner fan, and I think that this set would be great for anyone who is just thinking about venturing into the world of liquid liners! The individual liners in this set don't have specific names, but they do correspond with certain Pantone Universe shades: Blue Atoll, Emerald, Fragrant Lilac, and Chocolate Torte. 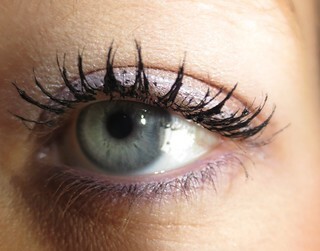 The Blue Atoll shade is quite glittery, and the actually navy shade doesn't translate too well on the eyes. 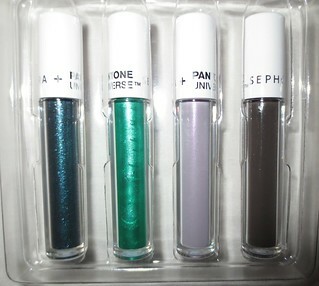 However, the other three shades are fairly pigmented. 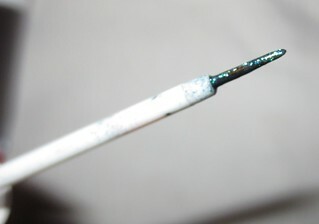 The brushes on these liners are very thin and tiny, and will create the perfect thin line. I normally do like a thicker line, and you won't be able to get that look with this brush. However, the thin brush is nice for a more natural look. This formula doesn't irritate my eyes, and it lasts all day long without fading or flaking.